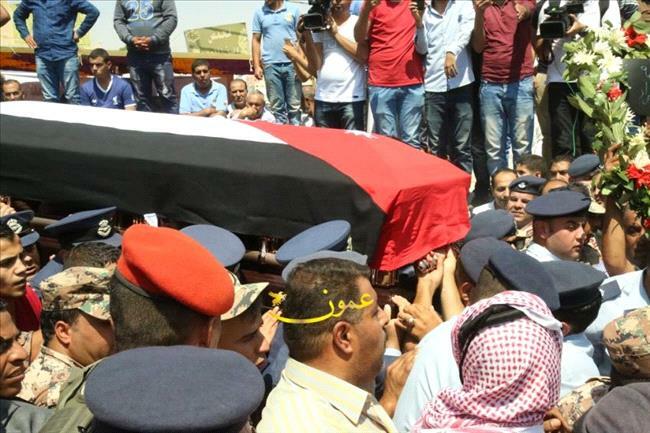 AMMONNEWS - Helicopter pilot First Lt. Ahmed Ali Mohammad Khleif al-Khawaldeh, who died during a military training trip to the US state of Texas on Tuesday, was buried on Monday in his hometown in Mafraq Governorate. 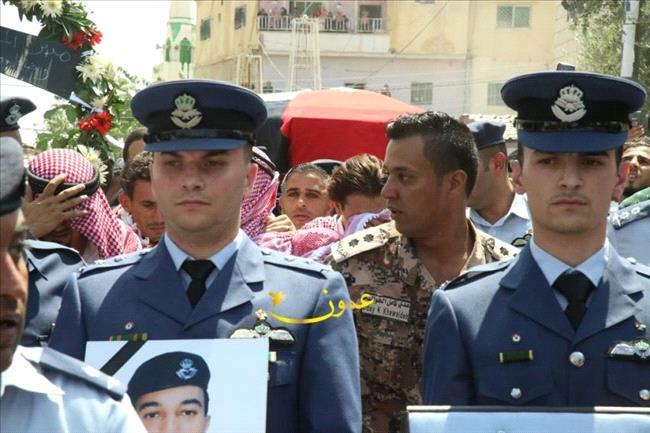 The fighter pilot received a military funeral by the Jordan Armed Forces- Arab Army General Command, where Chairman of the Joint Chiefs of Staff Lt. Gen. Mahmoud Freihat, the Minister of Interior and heads of security agencies joined officers of the armed forces and security agencies, officials and local mourners. 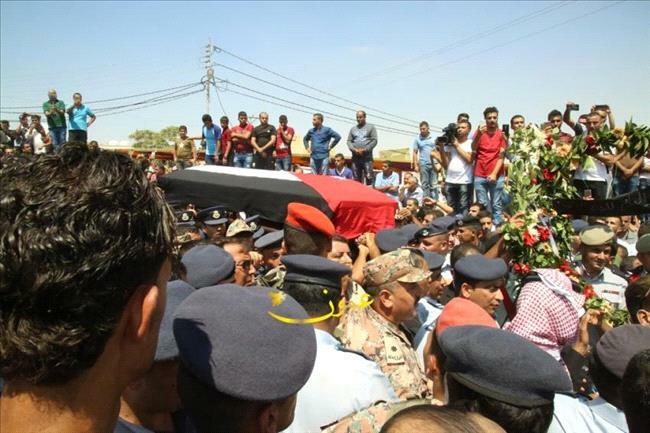 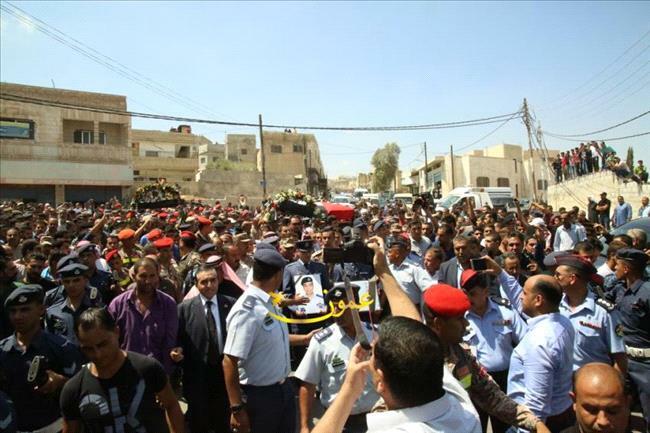 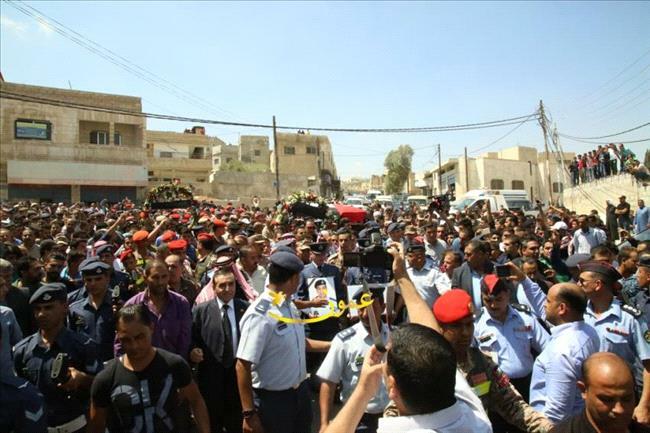 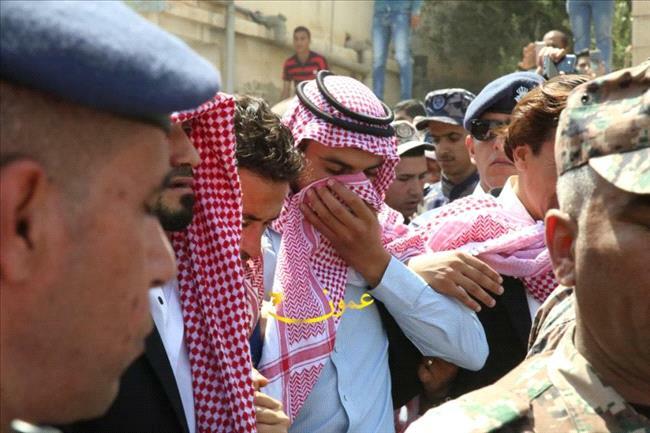 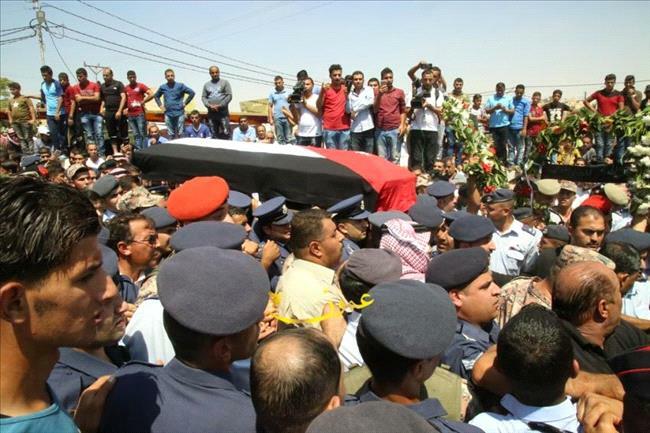 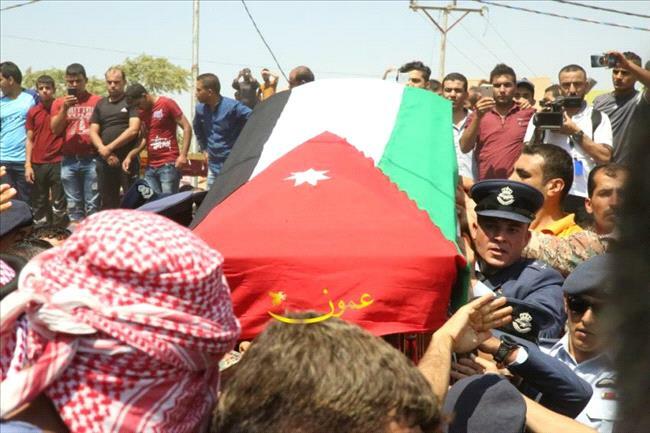 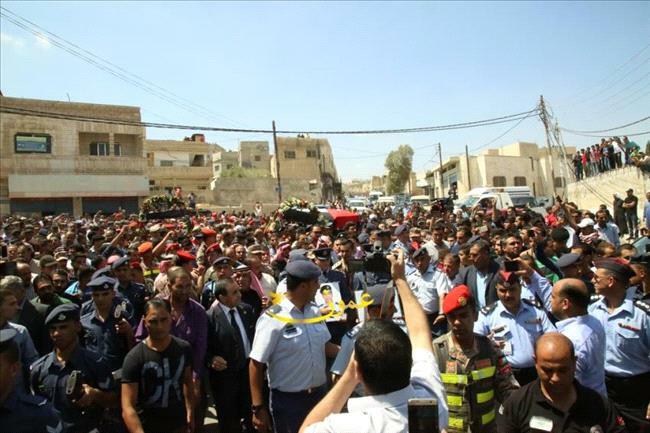 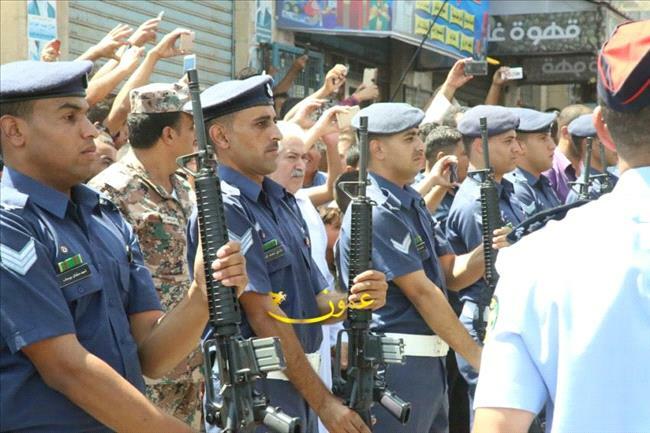 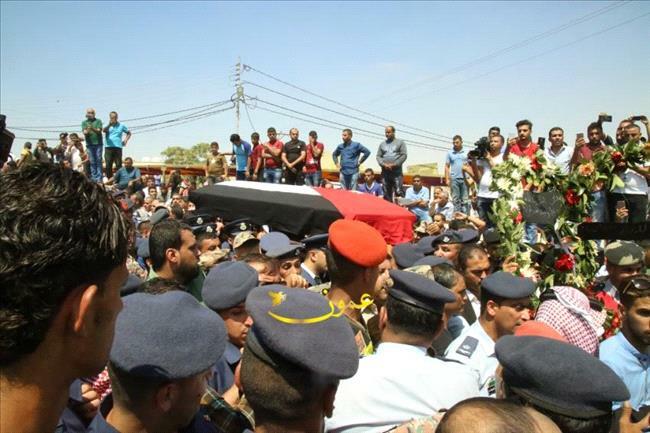 The coffin of Khawaldeh, draped in the Jordanian flag, was carried by comrade officers to the cemetery in the town of Bal'ama after midday prayers in the town's mosque, as a brass band played sombre tunes. 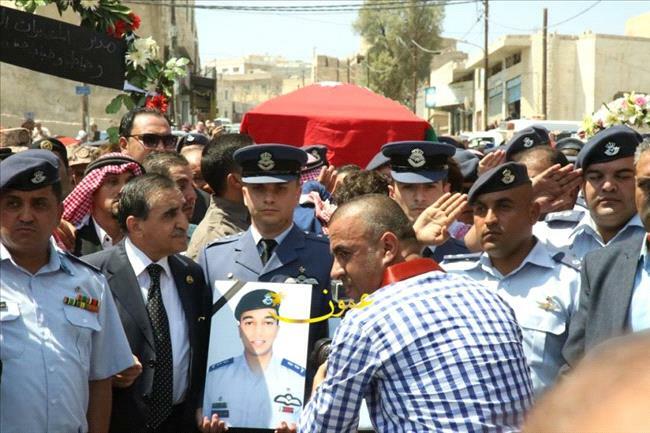 The Chief of Staff, the interior minister and top security officers placed wreaths of flowers on the tomb of the martyr. 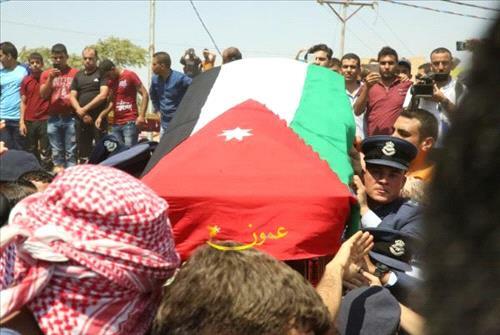 The armed forces mourned the martyr soldier and extended its condolences to his family.